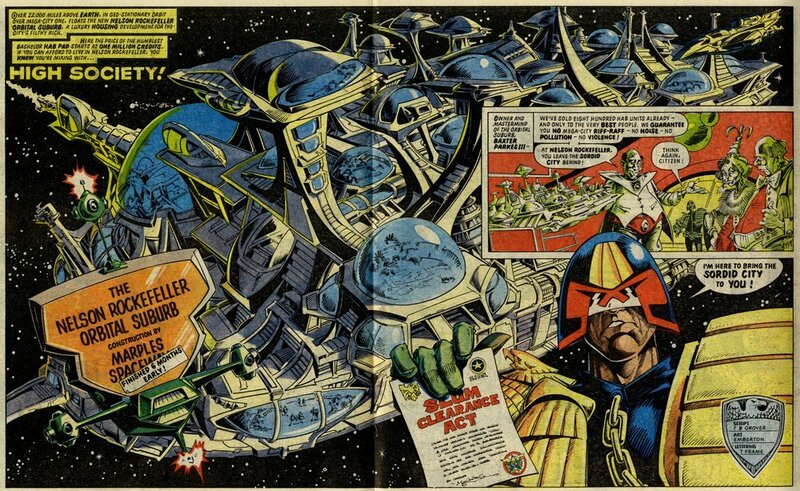 Judge Dredd's in a class of his own. This Ian Gibson cover sits in a grand British comics tradition of setting apart The Toffs and the Toughs. See also: Ivor Lott and Tony Broke, Class Wars, Dennis v. Walter, and many more. ‘High Society!’ by Wagner/Grant is typical of the short but brilliant (and Eisner-ish) Dredd tales of a single, tragic soul in the Big Meg that contribute to a portrait of a city so textured that it’s as important character itself in the great Dredd narrative as Joe himself.